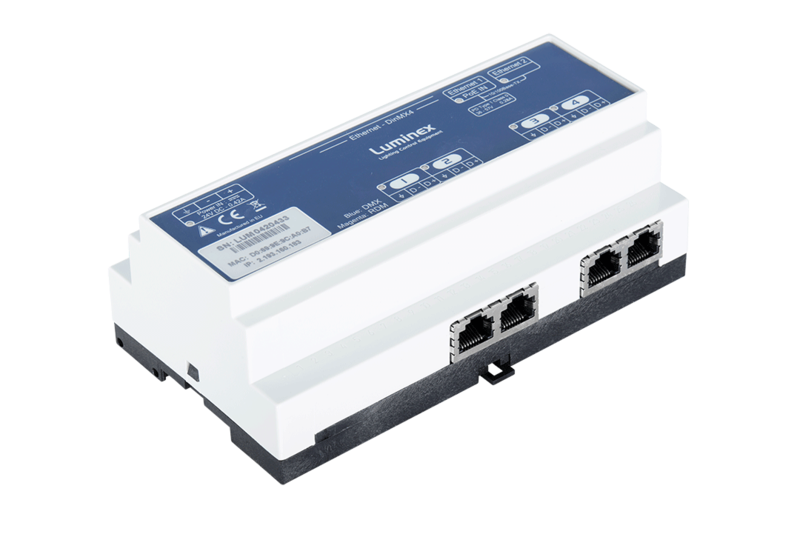 Load any pre-configured set-up profiles through the easy-to-use web interface. 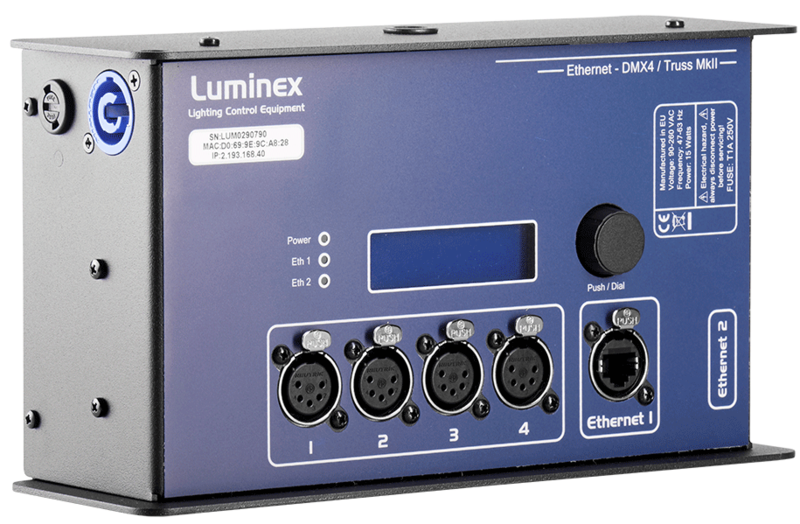 Metal housing, ruggedized Ethercons and shielded DMX connectors, perfect for theaters and cruise ships. 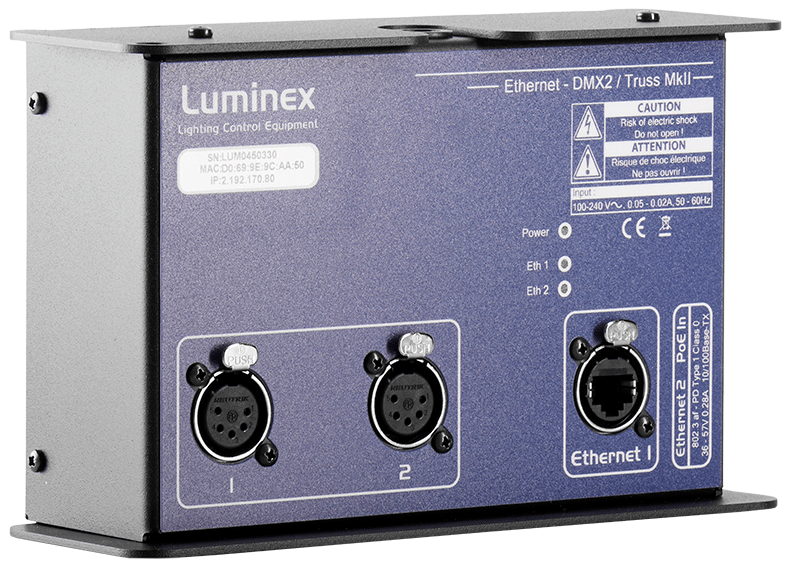 Don’t worry about power plugs anymore. 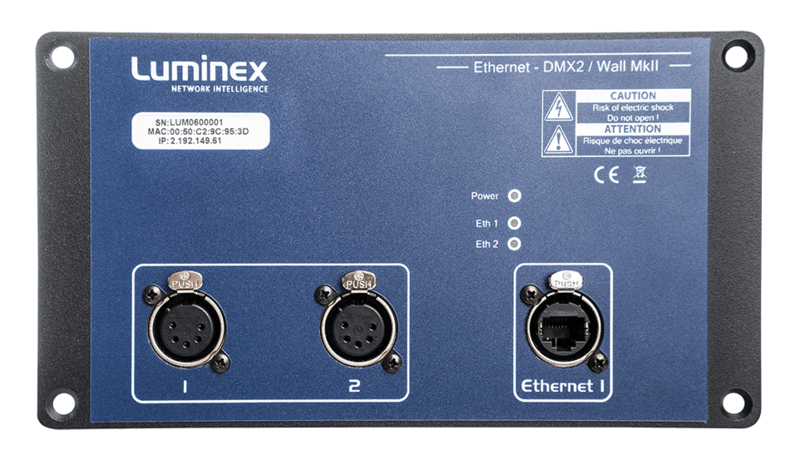 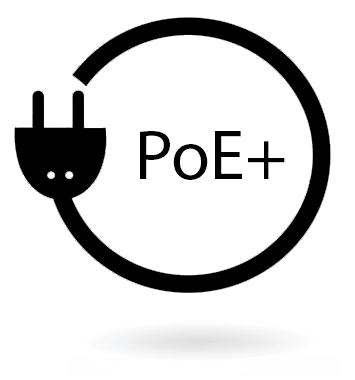 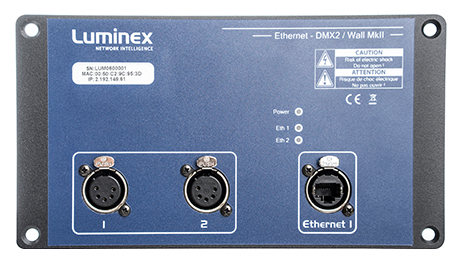 This Ethernet-DMX unit can only be powered over Ethernet (PoE).